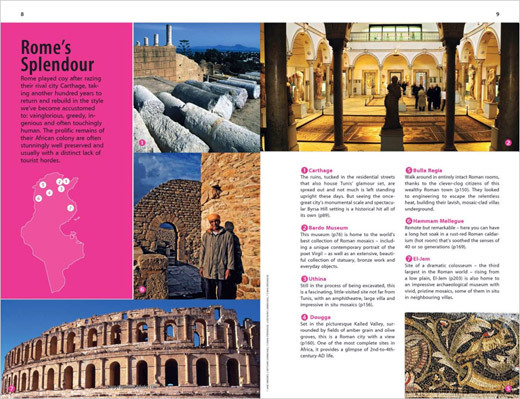 Donna coordinated the most recent Tunisia guide, researching and writing all general cultural background and practical information, as well as updating the destination chapters for Tunis and the Cap Bon region. She examines the country’s rich archeological sites and museum collections, its wonderful food and wine and a little documented early 20th-century architectural heritage. She also uncovered some excellent new restaurants, hotels and spas in the country’s capital and its beautiful beaches of Cap Bon. 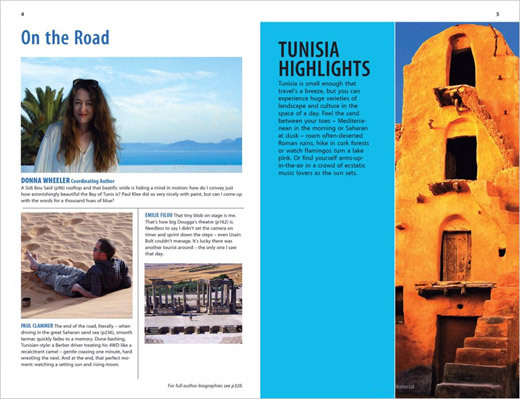 This guide was published pre-Jasmine revolution; Donna hopes that a new edition will soon reflect the exciting changes since the end of Zine El Abidine Ben Ali’s rule.